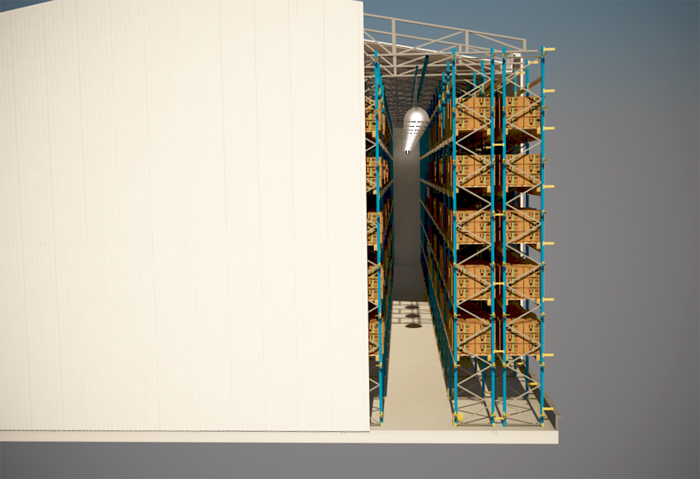 Rack Clad Buildings, with the other name SILO, are special designed racking system that integrates the racking as a supporting structure of the whole construction. 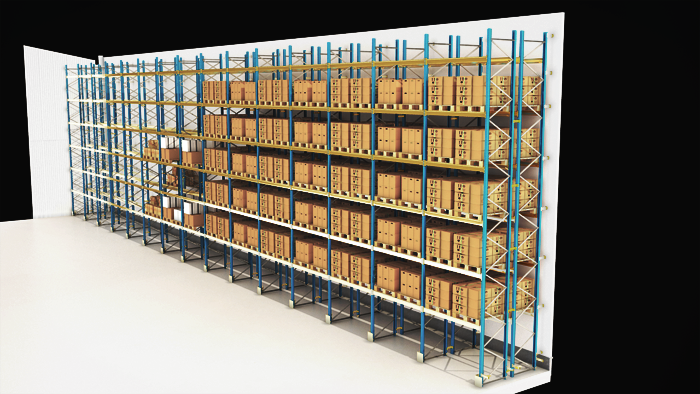 Rack Clad Buildings can be realized using different racking systems such as conventional pallet racking, narrow aisle, shuttle, and drive in, dynamic, etc. 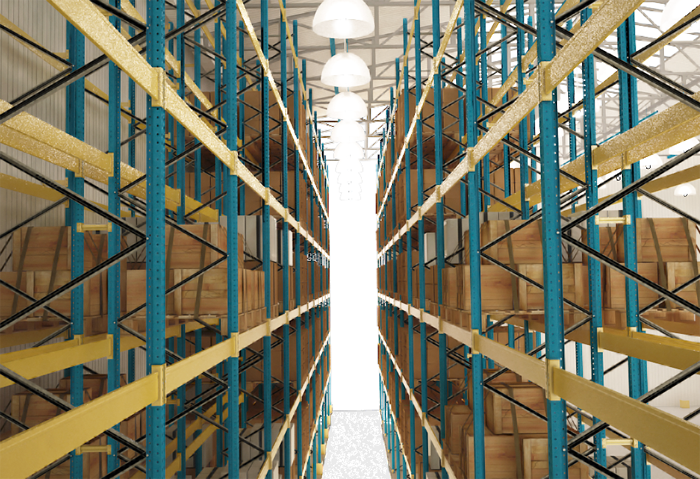 As the racking members meet the need of supporting columns, space losses arising from the use of columns and trusses are eliminated. Rack Clad Building provides great cost advantages as it do not require high levels of investment in construction. The height of the rack clad buildings is restricted by local authorities and by the lifting height of the material handling equipment (stacker crane or forklift. 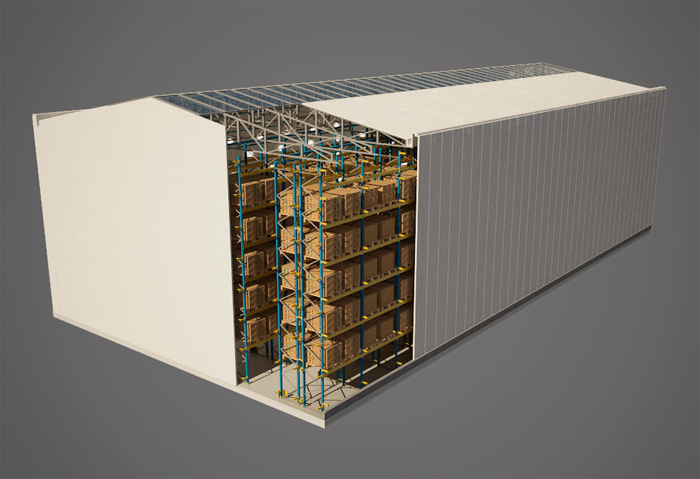 Thanks to the modular system of the rack clad building, moving the entire warehouse to another location or expanding it, is done easily. Possibility of using conventional or automated material handling equipment.